When traveling, there are places at which I have slept on multiple occasions. For example, I have slept at the Hilton in Costa Mesa many times (I even blogged about my time in the hotel at least once), and I slept at the Westin Ottawa a few times during the early 2000s. But there's another place where I've slept more than once. The first time was in June, when my family and I were flying from Dulles Airport to Ontario Airport, with a connecting stop in Dallas. Unfortunately for us, a major thunderstorm hit the Washington area while we were on the airplane waiting to take off. After a couple of hours on the plane, we returned to the terminal, and we ended up leaving several hours later than scheduled, missing our connecting flight to California. We arrived at Dallas around midnight, right around the time that the airport was distributing cots to other stranded passengers. After a few hours of restless sleep, we then boarded a flight for Ontario the following morning. So last week, when I happened to see a report from the U.S. Department of Transportation regarding flight delays, I was definitely interested. The report only covered August, and not the months of MY delayed flights (June and September), but it was still interesting to see the causes of the delays. In August, the carriers filing on-time performance data reported that 22.43 percent of their flights were delayed – 6.35 percent of their flights were delayed by aviation system delays, compared to 6.39 percent in July; 7.65 percent by late-arriving aircraft, compared to 8.64 percent in July; 6.04 percent by factors within the airline’s control, such as maintenance or crew problems, compared to 6.68 percent in July; 0.67 percent by extreme weather, compared to 0.86 percent in July; and 0.04 percent for security reasons, equal to 0.04 percent in July. In addition, 1.38 percent of flights were canceled and 0.30 percent were diverted. So my June delay would be classified as "extreme weather." Not sure how the September delay would be classified - while the cracked windshield was a "maintenance" problem, was that truly within the airline's control? But the biggest cause of airline delays in August was due to late-arriving aircraft. Unfortunately, the report doesn't dig into the question of WHY the aircraft were late - for example, was it due to extreme weather at the takeoff airport? If you don't want to go to an office and work at a set time five days per week, there are other options for work. You can become an independent contractor with Uber or Lyft. Or you can work as a real employee for a real company. FlexJobs has released a list of the top 250 companies for flex work, where flex work is defined as "a professional-level job that has a telecommuting, flexible schedule, part-time or freelance component." The top five companies on the list are either temporary placement firms (Kelly Services, Robert Half) or tech companies (IBM, Dell, AT&T). As you peruse the list, you can also see healthcare, government, and other industries represented. If you haven't heard of Liz Ryan, she is a regular contributor to Forbes who writes about outmoded human resources practices. Her theme is that there are some practices that not only damage employees or potential employees, but also damage the companies themselves. There's a story floating around that's right up Ryan's alley. Someone was applying for a director of engineering position. Actually, he wasn't applying for it; someone sought HIM out. Why? Probably because of his experience. So presumably the director position is not an entry-level position where the employee is expected to do things by rote. During a phone interview, things began to go awry around question 5. Me: a unique file identifier for any given file system. Recruiter: wrong, it's file metadata. Me: the inode is an index uniquely identifying a file on a given filesystem, and you can lookup this index to fetch file attributes like size, time, owner and permissions; you can even add your own attributes on some file systems. Recruiter: wrong, not "attributes", it's "metadata". I should disclose that I would have bombed out of the test at question 1. But note the tone of the recruiter, and how the recruiter is proceeding with the interview. This becomes extremely obvious by the time the recruiter gets to question 7. Me: SIGKILL which #define is set to 9. Me: SIGTERM (15) is different from the KILL signal (9). Recruiter: that's not the answer I have on my sheet of paper. I don't know about your experience, but the people that I have seen in a Director position (or even in a Senior Manager or Manager position) have to respond to changing circumstances, sometimes with insufficient data. In other words, the answers to things that a Director faces are not things that you have on a sheet of paper. Yet the recruiter insisted upon only accepting the official answer in front of him/her. This continued until ten questions had been asked, with the applicant explaining his rationale for the answers he provided, and the recruiter continuing to insist on the "right" answer. As far as the recruiter was concerned, the applicant was grossly unqualified to work at the recruiter's company because he didn't provide the right answers. Google, according to applicant Pierre Gauthier. It's important to note that this part of the process was a specialized test rather than a general interview. But this particular interviewer apparently wasn't looking for creative solutions. In fact, while we're only getting a second-hand account of the recruiter's responses, it's quite possible that the recruiter didn't know anything about coding at all, and was just looking for the magic words on the all-important sheet of paper. After the fact, Gauthier commented that even Google itself disagreed with the "right answers" that the recruiter had on the sheet of paper. After noting that the recruiter insisted that Quicksort is the best sorting method, Gauthier noted, "The Linux kernel (that Google relies on) opted for Heapsort rather than Quicksort... for its lower memory usage and more predictable execution time." But Gauthier saved his best dig for the end of his post. Not the text at the end of the post, but a footnote at the end of the post (before subsequent updates). (**) Google pagerank: the ultra-secret mathematical formula demonstrating that sponsored search results rank higher than reality can. P.S. Hopefully the recruiter doesn't work in the Blogger part of Google now. If he/she does, this may be my last post outside of tymshft. Most industries realize the benefits of making the purchase process frictionless. (My industry chooses to use a different term, because if you're frictionless, then your fingers don't have friction ridges and an automated fingerprint identification system doesn't work.) Transportation systems are no exception. If you're an older person who rides the bus, then you probably remember how you were once urged, "don't carry cash." So you buy a bus ticket or a bus pass - but that's a hassle because you have to go to the bus station or the grocery store or wherever to buy the ticket or the pass, and you have to carry cash to the place of purchase, kinda sorta defeating the purpose. Beginning October 9, eliminate the hassle of carrying paper passes or exact change by using our new OC Bus Mobile Ticketing app on all fixed-route buses. Buy your bus fare anytime, anywhere from your smartphone, then activate your ticket when you’re ready to ride. Tech is supposed to connect us, but sometimes people worry that it connects us too well. Years ago, you couldn't bring a smartphone into the San Bernardino County courthouse in Rancho Cucamonga. Presumably a whole bunch of lawyers had to go out and buy "feature phones" (i.e., dumbphones) so that they could get their work done. Eventually, the courthouse relaxed this restriction. Years ago, you couldn't wear Google Glass in Shotwell's Bar. (But you could bring smartphones in, which could do the same thing.) Eventually, the market relaxed this restriction when Google Glass went bye-bye. If they're so concerned about security, what about the possibility of hacking the mic on a smartphone? Or killing someone by hacking a pacemaker? All of these things are possible, but that does not mean that they're highly probable. Is the threat of hacking an Apple Watch truly as great as some fear, or is the UK Cabinet being ridiculously overcautious? Of course, this may depend upon whether or not you work for Apple or benefit from Apple. 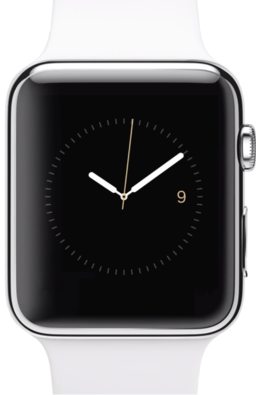 Somehow I bet that the Irish government isn't going to ban Apple Watches in government meetings any time soon. There have been a variety of posts on the Empoprise-BI business blog so far in October. Although Empoprise-IE (my Inland Empire blog), Empoprise-MU (my music blog), and Empoprise-NTN (my NTN Buzztime blog) have been quiet this month, a tymshft post may be of interest to Empoprise-MU readers. #psl So-called Pumpkin Spice Latte - Butternut Eugenol Latte? ...So pumpkin pie doesn't have pumpkin, and pumpkin spice doesn't have the spices you'd expect. So I guess your pumpkin spice latte is really a butternut eugenol latte. There are certainly a number of ways that one can go with the recent revelation that Yahoo scanned emails for a certain character string at the request of the U.S. National Security Agency (NSA), but I want to focus on one aspect of Yahoo's actions. According to Reuters, Yahoo's actions were known by some affected departments, but not others. [Yahoo Chief Executive Marissa] Mayer and Yahoo General Counsel Ron Bell did not involve the company's security team in the process, instead asking Yahoo's email engineers to write a program to siphon off messages containing the character string the spies sought and store them for remote retrieval, according to the sources. In essence, one part of Yahoo made a change to Yahoo's internal systems without letting the security group know about it. To its credit, the security group discovered the change on its own (although one could argue that in the ideal world, the change should have been noticed within minutes, not weeks). There were probably political reasons for this. Yahoo's then-Chief Information Security Officer, Alex Stamos, was publicly on the record as opposing NSA efforts to obtain information from U.S. Internet companies. In fact, Stamos is now at Facebook - Reuters claims that he resigned after he learned of Yahoo's cooperation with the NSA. Before assuming that everyone Mayer did was bad, the question should be asked - was there a valid reason for keeping the CISO in the dark about this effort? One could claim that this was a legal matter and not a security matter. In addition, since the request was from the NSA, the existence of the program should only be revealed on a "need to know" basis - and one could claim that the CISO's job was to keep outsiders out of the system, and not to monitor what was going on in the inside. As you might discern, I'm having a hard time making this argument. One of the greatest threats to a company is its own employees, and if a Yahoo employee is siphoning off email information - even if it is at the request of the NSA - the CISO should have been informed about it. Would other Internet companies have behaved in the same way? Or, more importantly, DID they behave in the same way? As of now, the other companies are claiming that they didn't cooperate with the NSA, but you never know. The important lesson is that when you change a system, ALL of the people affected by the decision should be informed of it. And now we just have to wait for Julian Assange or a disgruntled ex-Yahoo employee to leak the email exchanges regarding the discovery of the email scans. Attached are the logs that show that an internal program is skimming all Yahoo emails. The skimmer appears to be looking for a character string. To implement the program, the hacker gained privileges reserved to the most senior members of the email programming team. As a precaution, I recommend that we disable the senior privileges effective immediately. Jane, let me check around first. I have a bad feeling that these weren't outside hackers. Jane, hold off on those privileges. This program was authorized by Marissa, and the results are going to the NSA. Yeah. Um, don't tell anyone, but I'm driving down to Menlo Park. Gotta talk to someone about something. Eddie Lampert of Sears Holdings takes issue with reports of Kmart's impending demise. First, Kmart continues to operate over 700 stores. Second, a significant number of these stores are profitable and have been profitable for many years. Third, we have been clear that we are intent on improving the performance of our unprofitable stores and, if we cannot, we will close them. Actions to improve our store productivity, including reducing inventory stored in the stockrooms, are designed to make our stores easier to operate and to eliminate unproductive inventory and processes. The comments on inventory reduction address previous concerns that I discussed in July, and Lampert also addressed store closures, including the latesr round that I discussed in September. Let's see what happens after Christmas. I've been around hashtags for a while, but I sometimes forget that hashtags have spread well beyond Twitter - something that has implications for the ways in which hashtags are used. 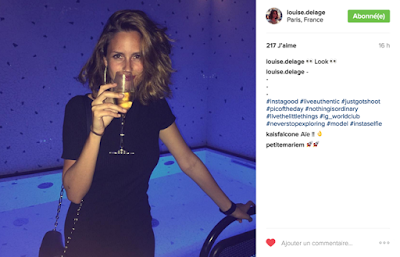 AdWeek recently posted an article about the carefully-planned viral sensation Louise Delage, whose Instagram posts erupted over the summer until Addict Aide revealed, "Hey, did you realize that Louise is holding a drink in all of her Instagram pictures? Ever thought about...ADDICTION?" To ensure the content was found, each post included a mix of 20-30 hashtags related to fashion, food, nature and parties. 20-30 hashtags! For someone like me who initially encountered hashtags on Twitter, the idea is mind-boggling. But Instagram (and Facebook) allow multiple hashtags, so why not make use of them? I'll confess that I personally don't care for the practice (sorry, Emilie) - it just strikes me as odd when the hashtags are longer than the original message. But then again, if it helps people to find your content, then I guess it's worth it. P.S. 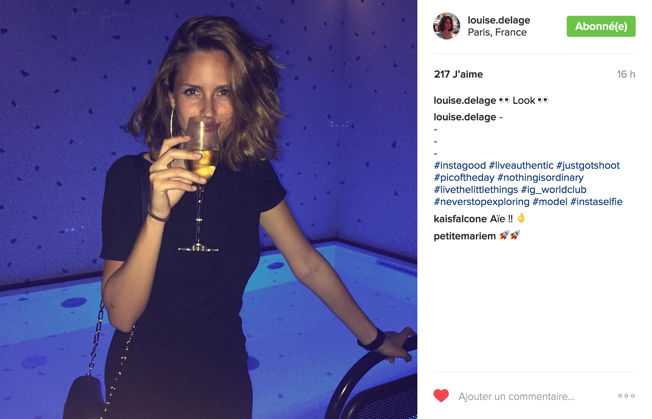 Also see http://www.moreaboutadvertising.com/2016/09/betc-paris-reveals-the-no-fun-at-all-side-of-louise-delage/. Unfortunately, I was unable to locate any fanfiction about Louise Delage throwing up in a Paris street, late at night; perhaps it's only available in French. And for another commentary on the difference between one's social media image and one's reality, see this. I am not one of those who goes hog wild over pumpkin spice latte - or PSL as the kewl kids call it. No, I reserve my adoration for the "real" thing - pumpkin pie. Except that pumpkin pie is misnamed, since canned pumpkin pie mixes usually contain some other type of winter squash, according to Food and Wine's Emma Crist. Pumpkin puree: You know, the canned orange stuff that’s lining the supermarket walls right now? The stuff you use to make all your favorite fall desserts that’s labeled “100% pumpkin”?! Yes, well, it’s actually made from 100% not pumpkin. The mix is made from a variety of winter squash (think butternut, Golden Delicious, Hubbard, and more). 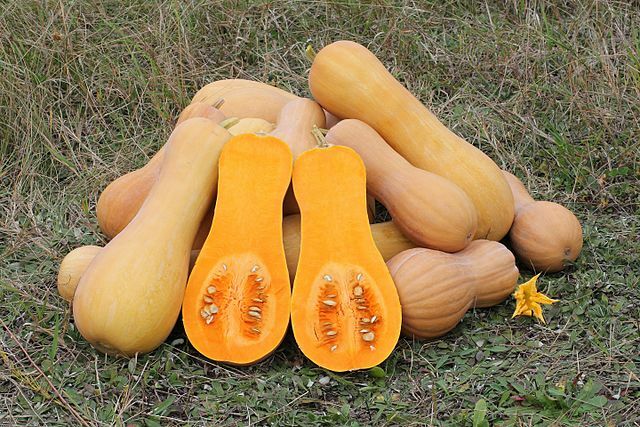 Libby’s, the brand that produces about 85% of the country’s canned “pumpkin” filling, has actually developed a certain variety of squash that they grow, package, and distribute to supermarkets across the country–all the while fooling innocent, trusting consumers into believing they’re eating a pumpkin. So that's what you enjoy when you eat that pumpkin pie - I mean spice pie - and that's what you enjoy when you go to Starbucks and get that Squash Spice Latte (not to be confused with Secure Sockets Layer). As food scientist Kantha Shelke explains, flavor companies have come up with a simplified recipe that includes just a few of the chemicals that occur naturally in pumpkin and cinnamon and cloves and nutmeg. A small selection of those flavor compounds is enough to make our brain think, "Ah, pumpkin pie!" Instead of actual nutmeg, for instance, they use a compound called sabinene. Instead of cloves, they use eugenol. According to Shelke, this simplified recipe actually does a better job of capturing the essence of pumpkin pie flavor than you'd probably achieve with the natural spices from your cupboard. What you'd get, in that case, would resemble India-style spiced tea, or chai. So pumpkin pie doesn't have pumpkin, and pumpkin spice doesn't have the spices you'd expect. So I guess your pumpkin spice latte is really a butternut eugenol latte. At least the latte has real milk, doesn't it? Well, that's a semantic issue. And since I didn't entitle this post "Butternut Eugenol Monsanto Milk," you know how I feel about the Food Babe. By the way, before you freak out about eugenol, it's about as dangerous as dihydrogen monoxide.